Hi guys! How is everyone doing? A week and a half until my wedding. I think it's safe to say that I am officially freaking the heck out. Today instead of prompting, although I may prompt tomorrow, I'm going to discuss Kindle Unlimited, a new program that was launched through amazon. So let's dive right into it. As many of you know, I publish my novels through Amazon KDP. There's many reasons that I do this, but we'll save all of that for another day. So, I get an email from amazon informing me that because I'm enrolled in KDP my title will be free in the Kindle Unlimited library. At first, I had no idea what this means, what I'll get paid, etc. But after researching and seeing my sales, I realize that this program is a great thing, and I myself am enrolled in it both as an author and reader. With over 600,000 books in the free library, you can always find something to read. I've gone back and read some old favorites. I've gone forward and checked out new books. Their blockbuster hits are The Hunger Games, Harry Potter and Lord of the Rings. But they have classics like Animal Farm, too. Only $10 per month. For me this is a biggie. I spend way too much on eBooks that should be free. Some eBooks are $9.99 for crying out loud. This service saves me, as a consumer, tons of money on a monthly basis and gives me the freedom to read more than normal. You don't have to have a kindle. You can read on your computer, phone or laptop, or whatever and you're still able to participate, unlike the Lending Library. This is awesome! I think it's blatantly clear that for readers, this service is awesome. People are calling it, the Netflix for books. And frankly, I agree. There's really no loss for the reader by paying $9.99 a month. That's only like reading five $2.99 books a month, or one $9.99 book. The only negative people can come up with is that most of the books right now on the Kindle Unlimited site are self-published. That's because KDP users automatically move into the KU library. Like any argument about self-publishing, you have to find the good ones and a simple way to do that is to just look at ratings and reviews, or try them out. But this is no different than amazon.com so I don't know why people are complaining now. It's not so cut-and-dry here. Some authors are upset, and I get it, but at the same time, it seems a bit petty. Now, writing isn't my full time job so I'm not relying on the money from my novels to pay rent, BUT the money helps me and I need it, so I understand both sides. "We base the calculation of your share of the KDP Select Global Fund by how often Kindle Unlimited customers choose and read more than 10% of your book, and Kindle Owners' Lending Library customers download your book. We compare these numbers to how often all participating KDP Select titles were chosen. For example, if the monthly global fund amount is $1,000,000, all participating KDP titles were read 300,000 times, and customers read your book 1,500 times, you will earn 0.5% (1,500/300,000 = 0.5%), or $5,000 for that month." The good thing is that if your book is very popular and getting read, you're making more. If your book falls to the wayside, you might feel a bit screwed over since the price of your book doesn't matter. Another good thing is that the global fund changes monthly, so if more people enroll in KDP and put their books in KU, you aren't penalized. Going back to my point that most of the titles (as of right now) are self-published, there's even more reason to enroll. Here's what I've noticed in the five or so days KU has been active: new reviews, new ratings, and sales. It only helps us unknown, self-published authors who actually have quality material to get our names and books out there. In the short time that KU has been available, my books have gotten over 200 downloads and 7 new reviews, not to mention all the new ratings on goodreads. That may not seem like a lot to you, but that's without my actual sales from amazon. And it's only 5 days old! If this continues, who knows what it will do for my novels and myself. So the main argument that people are saying about KU is that you have to be enrolled in KDP. Which I'm sure sounds scary due to their exclusivity, but I promise, it's not. 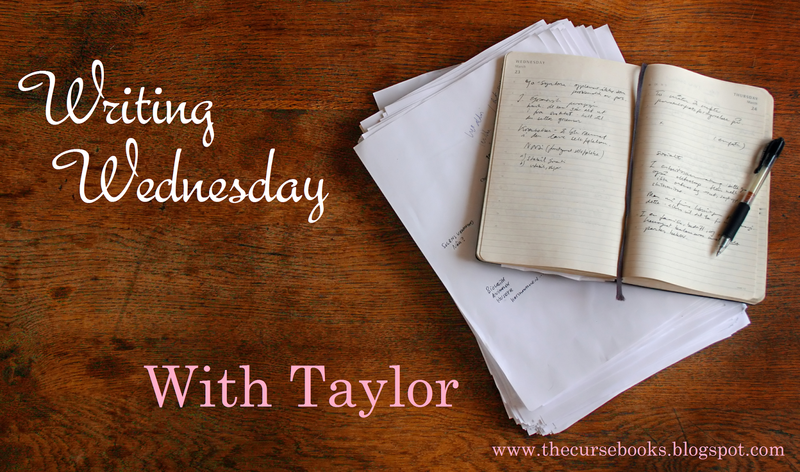 All of my books are in KDP and before publishing my first novel, I had to make that decision. Amazon is the bestselling market for eBooks. I believe the last number I read was that they control 62% of all eBook sales. Why wouldn't you want your book with them? Not only do they have the largest market, but they promote like crazy if you're in KDP. On my 5 sale days I sell over 10,000 books or more. They shoot out emails when the days are coming to all of their clients. I hit #1 on a chart and they recognized it, emailing me and giving me extra things. It's worth it as a self-published author to get your title on amazon. If you're doing it, you might as well get the perks. I know many self-published authors who didn't enroll in KDP only to regret it later. So if KDP scares you, or is the only reason you don't want your book in KU, then you should do some research and really evaluate why you don't want it. 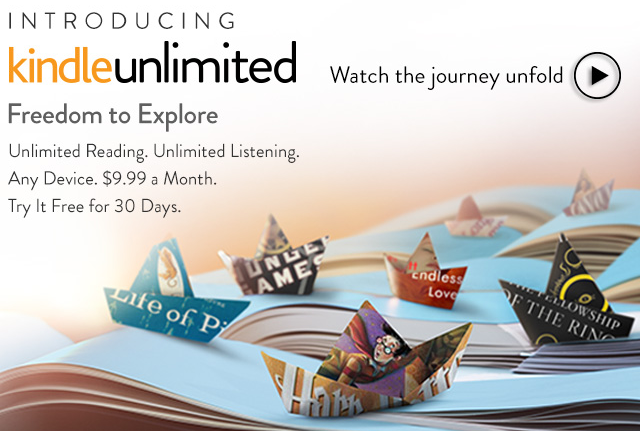 I'm excited to see how Kindle Unlimited will grow. I'm glad that my books are a part of it and am happy to already notice a boost in my sales, goodreads "fans", new reviews and blog followers. So far, so good.